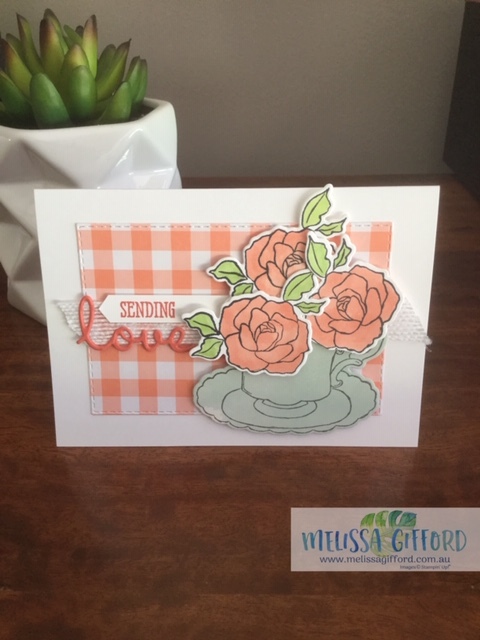 Melissa Gifford - Independent Stampin' Up!® Demonstrator: Sending love and a cup of tea! Sending love and a cup of tea! I am sending lots of love to you today with my sweet little notecard complete with tea cup and flowers. 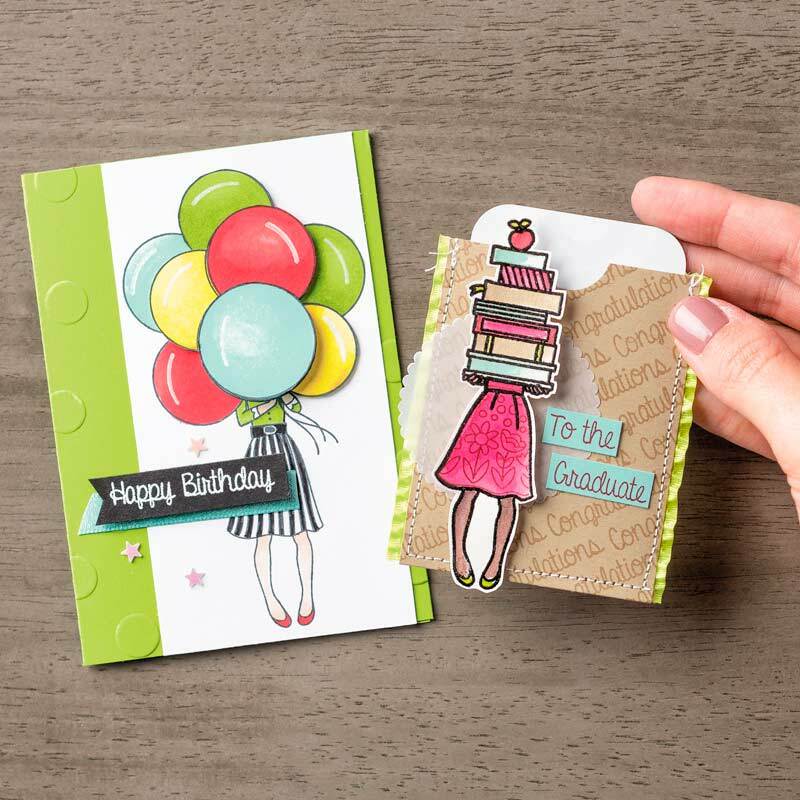 This sweet teacup card is made using the Tea Together stamp set from the Occasions Catalogue (page 49). And until the end of March you can earn the coordinating Tea Time Framelits with a $180 order. Sure saves me a lot of fussy cutting of flowers and teacups! The card came together from one I saw on pinterest. It reminded me to use my stash of notecards. They are the perfect size for a sweet little note and come with their own envelope too.The rectangle stitched framelits make a nice mat to the card to add my layers to. The flowers were coloured with the blends pens. And the tea cup itself it actually die cut from one of the Delightfully Detailed notecards. These have a gorgeous watercolour wash which I thought gave a nice softness to the teacup. The flowers have a touch of wink of stella pen for an added sparkle. Make sure you place your order by 31st March if you want to earn the FREE Tea Time framelits. Click on any of the images below to head over to my online store. This week 25th March - 31st March as an added bonus, for anyone who places an order with me will go into the draw to win a free an exclusive hostess stamp set - Hand Delivered.